Remember the day when getting offshore rates at $30/hour seemed too good to be true? Many of you have figured out that these rates are deceiving and the actual cost is much more. There are many stories from CIOs, VPs, and Directors complaining about their offshore support. The rates may be cheap, but the quality and time-to-results are not acceptable. As a result, more companies look for hybrid onshore and offshore models as the best way to support the business. We helped a major retail client of ours with this dilemma. Their problem was like the one mentioned above, the offshore partner had great rates, but it took three times as long to get the work done. The result – it was taking too long and costing more in frustration, time and value. Their offshore company was not nimble enough to keep pace with the changes needed by the business. One example was a minor change due to regulatory changes. The offshore team estimated 160 hours of effort, but it would take two months for the work to make it to the top of the queue. That was not acceptable to the business! The manager called us and asked if we had an alternative staffing solution to handle the requirement. One of our Solution Architects familiar with the regulatory changes laid out a solution and plan that satisfied the business’ requirements and the IT budget. In less time and less investment, we delivered the requirements. Since that experience, this client has used Titan Consulting in a hybrid onshore/ offshore model that yields better results for their budget and equally important, the business. In the past, it was common for companies to have thousands of hours per year for ABAP and other development work, and that work was straightforward – reports, conversions, etc. It was important to focus on managing hourly rates. Today, many SAP implementations are stable, and the requirements are more complex and time critical. The clear objective for many small and mid-sized firms is the speed-to-results to satisfy business needs. Titan’s Fractional Consulting capabilities give IT another arrow in their quiver. They have a primary offshore partner for the typical break/fix and run the business activities. They also have a nimble, flexible partner for rapid deployments and unique one-of-a-kind activities. The focus for many SAP customers is yielding more from their SAP systems: ECC, BW, BPC, CRM, APO, and more. One of our electronics manufacturing customers had invested a significant amount of money into a custom Availability to Promise (ATP) report. The report was initially developed to provide operations and account managers with the availability of products for managing delivery on key accounts. The problem, the report took 30 minutes to run. As you can imagine, no one ran this report. In one of our quarterly business reviews (QBR’s), the client mentioned ATP was still a concern and asked if we had any ideas on how to improve the performance on the ATP report. Availability and Promise dates were a key metric for the business and had not improved as expected, and worst, as business improved, this was becoming a bigger problem. One of our Senior Technical Solution Architects, Ravi Nune reviewed the code. He went back to the business to validate the requirements to ensure that the report would still satisfy the business; to avoid “just what I asked for, but not what I need” syndrome. During the process, he discovered a few things. First, the core objectives of the code would still support the requirements. Second, the code was never designed or tested with production volumes in mind. If that had happened, the code could have been streamlined to produce better results. Within a week, the ATP report was running in less than three minutes. The code was modified, tested, and results verified that operations and account managers could trust. We have more examples for Supply Chain, Finance, and OTC where small changes can create big results for your business. 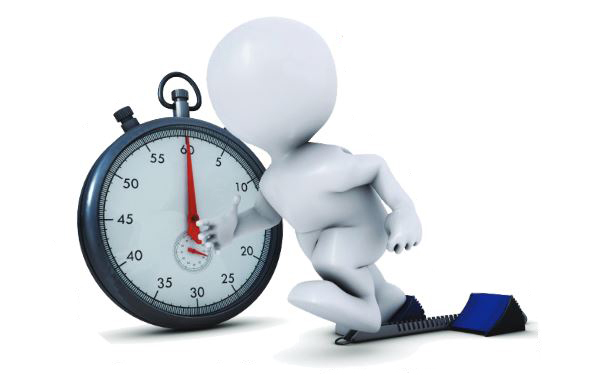 Is your offshore application development costing you too much or taking too long? Let me show you bonafide business cases where we have delivered the right solution, in time, and for the best value! Contact Kevin Kirkland, kevin@titanconsulting.net, 214.435.8411; or contact your Titan Consulting Director. You can also see additional information on our Advisory Services at Titan Consulting, titanconsulting.net.